Dimensions: 15 Inches Wide, 34 Inches Deep, 25 Inches High. 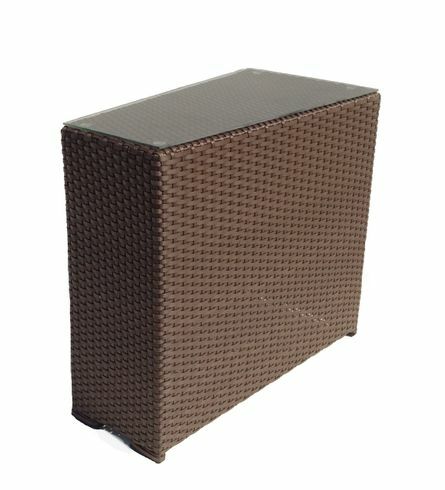 Our outdoor wicker wedge end table is the perfect complement to your outdoor living area. Use along side a sectional, sofa or between a pair of wicker chairs. Glass top is included on this table and works perfectly with our Sonoma curved sofa. Use tables on each side of the sofa to make a grand statement of your patio set! 15 Inches Wide, 34 Inches Deep, 25 Inches High.